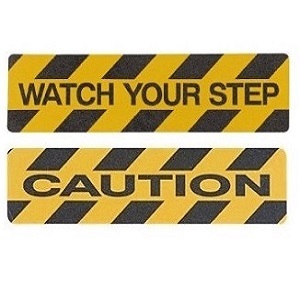 Protecting your staff and customers from slip and trip hazards is one thing but warning them of danger in advance is quite another. 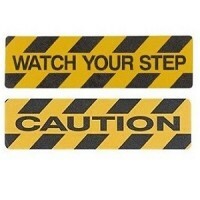 Jessup coloured Safety Track® message cleats combine unrivaled slip protection with powerful visual warnings.Choose in our traditional black/yellow stripe with our “Caution” or “Watch Your Step” visual message. 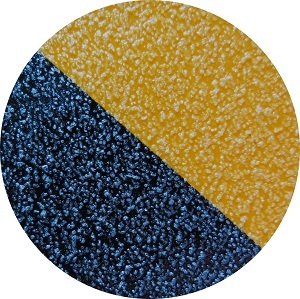 Messages "CAUTION", "WATCH YOUR STEP"
Ensure surface on which the Safety Track® cleats will be applied is clean, dry and free from loose or peeling materials. Peel protective liner back about 2” from one end and position piece on surface. IMPORTANT: Minimize touching adhesive with fingers. Innova Solutions is the UK’s only official stockist of Jessup® 3360 Safety Track®.